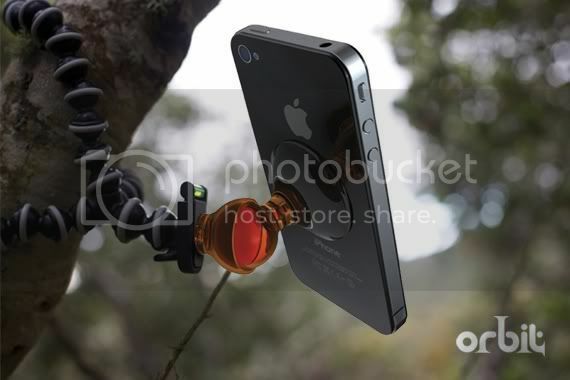 The Orbit defines what a smartphone mount should be, offering infinite adjustability and zero frustration. Form and function delivered. 1,882 backers pledged $63,457 to help bring this project to life. Thank you for checking out our project. Our guiding principle is to do more with less, and with this little guy we call the Orbit we believe we found the perfect harmony between form and functionality. We have been doing a lot of work on the development of the Orbit and it has shown that we were a little too optimistic with production costs due to the complexity of the injection molding required. 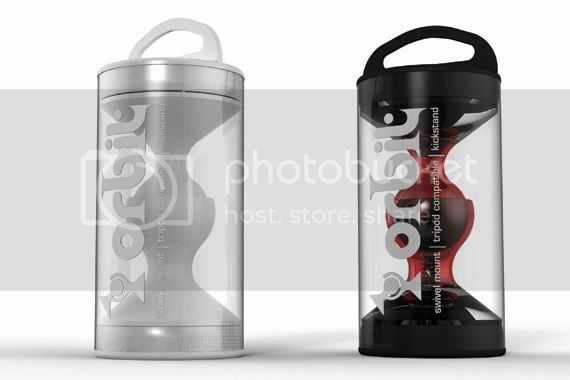 We are now expecting the Orbit to retail around $30.00. Still a great price considering all that the Orbit does for you. This will not effect any of your pledges on Kickstarter. In fact, the $15.00 pledge is now 50% off the expected retail price. 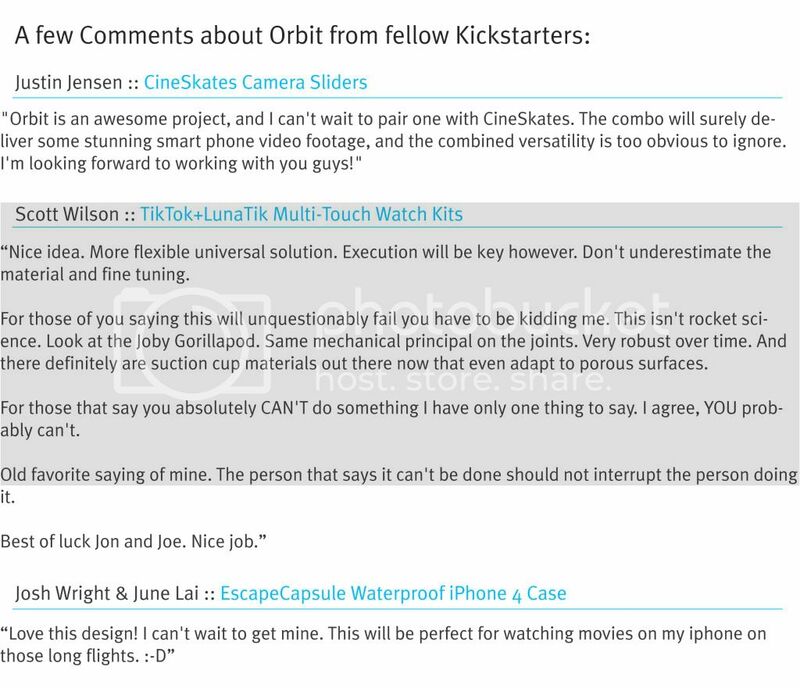 Get your Orbit now at this fixed Kickstarter special before it hits retail shelves. ***A RECENTLY ADDED COMPONENT: The following little double threaded 1/4"-20 adapter will allow you to mount your Orbit directly to a point and shoot camera. If you don't have a tripod, this gives you just a bit more flexibility. All $15 and over pledges get this free upgrade. The Orbit is truly the simplest device allowing you to make the most of your cell phone, iPod (and soon the iPad as well!) by giving you the ability to securely mount your device practically anywhere, and leaving your hands free to be more productive. What does the Orbit do? It seemingly gives you a third hand. 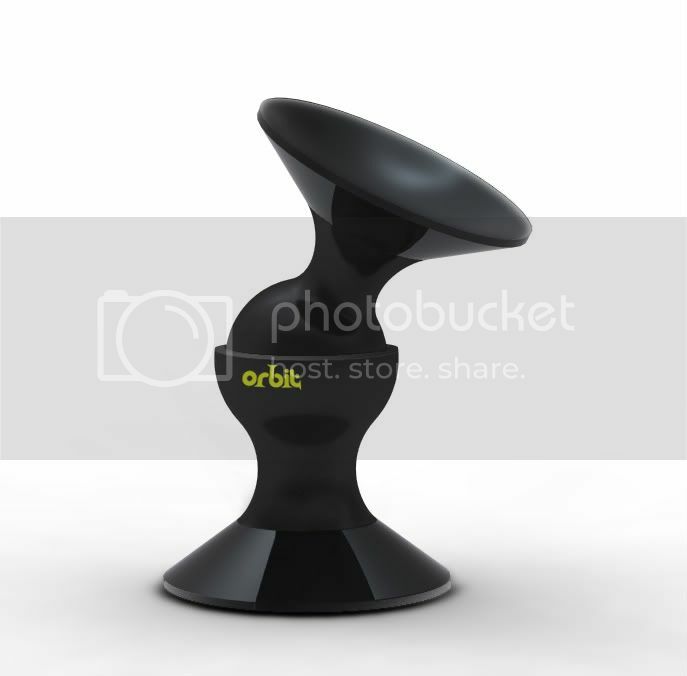 With two opposing suction cups swiveling around a simple ball-joint, the Orbit securely mounts any mobile device to practically any surface. Any surface? Well, almost. Included with the Orbit are clear repositionable polycarbonate discs that can be stuck on to most non glass-like surfaces giving you the capability to mount your device to a painted wall, wood surface, your dashboard or practically anywhere you can think of. You’ll find your favorite spot, and when you do, we’ve got you covered. 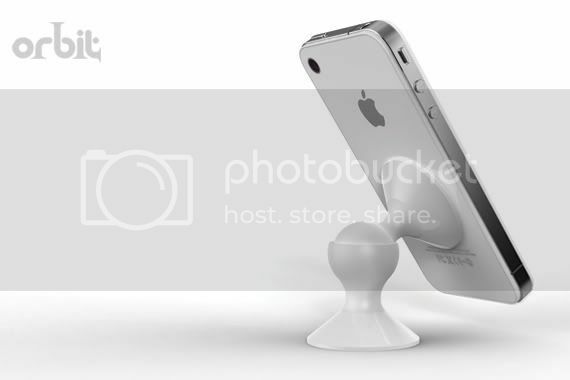 In addition, the Orbit has a removable suction cup. What lies underneath is a standard 1/4-20 threaded insert that allows you to mount the Orbit to any tripod giving you the flexibility of hands free video and photography, and the ball joint lets you dial in the perfect angle without having to fumble with the tripod adjustments. 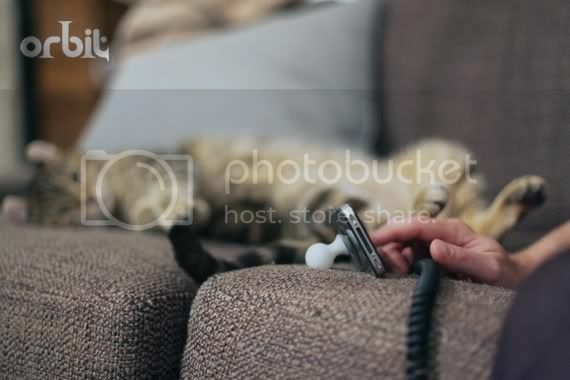 You can even remove the remaining socket portion of the Orbit and you have a convenient little suction kickstand that positions your device in either portrait or landscape. Is it really that handy? 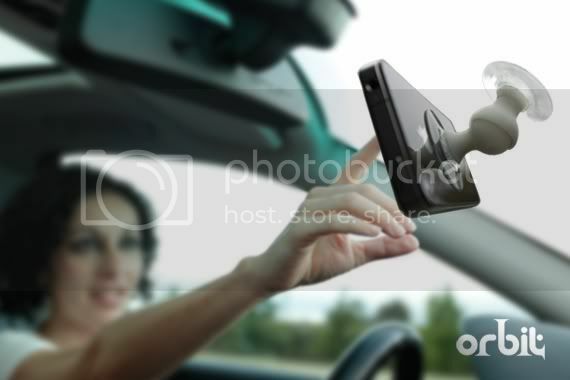 We have tested a lot of phone mounts on the market and, to be honest, a few of them "work" pretty well, but if you want to take them out of your car to throw them in your purse or pocket, good luck. If you want them to hold another device your chances are dicey. We found most of them to be big, bulky and in many cases device specific. 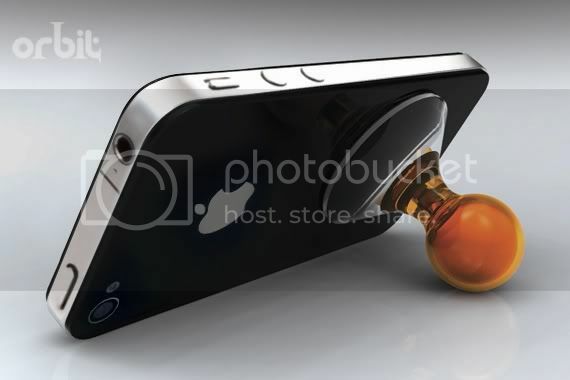 In our opinion you shouldn’t have to adapt to the limitations of a device. The genius of the Orbit is it’s so simple it adapts to you. 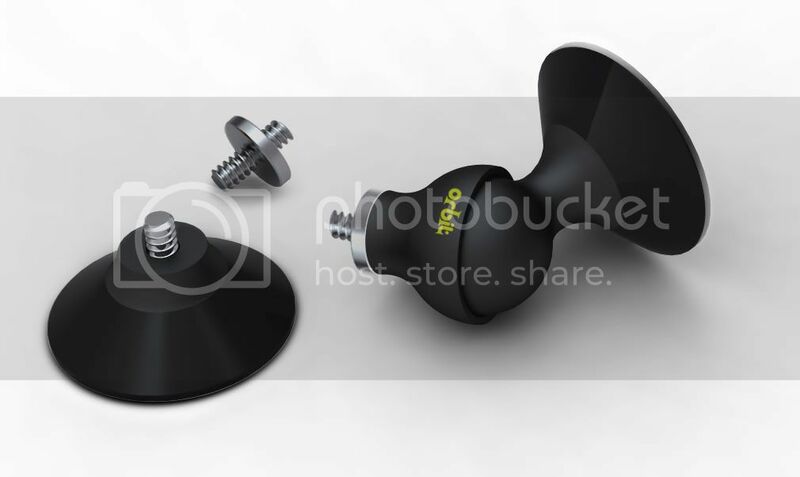 In order for us to develop the orbit, we need your support primarily for the hefty tooling investment involved to injection mold the polymer ball and sockets, as well as the custom designed suction cups. Aren't plastic parts inexpensive? Well each one of those little guys popped out of a steel tool costing thousands of dollars. Our Orbit is no different except that he is worth his weight in... well, truffles! With your help we'll be on our way to giving you that third hand, and to us, that's priceless. Thank you so much for taking the time to visit our project. Our sincere thanks. Every dollar you pledge really matters. With your support, we will be able to send our Orbit into your space. EXCLUSIVE NEW PLEDGE: For $1.00 or more you will be entered in a drawing. Two (2) random chosen backers will each receive 5 Orbits. Every dollar really does count and we would like to reward you for your support.